Home > Customer Reviews > Terrific! I highly recommend Turner VW. Jody was terrific to deal with! She may be new to the dealership, but customer service is not new to her. It was a pleasant, low-pressure, and efficient experience every step of the way. I love my Jetta - thanks Jody! I called Turner VW to inquire about buying a car. I spoke with Will, he was honest and informative about the used cars I was interested in. I basically negotiated and bought it over the phone before making the trip to Kelowna from the Shuswap. When I arrived, it was everything I expected! The whole crew was super helpful. I am looking forward to my new car! I highly recommend this dealership. I was kinda freaked out about dealing with a car salesman, and then I met Chris at Turner Volkswagen. I was able to tell instantly how passionate he is about Volkswagen. I didn't feel pressured at all, and he felt like a friend to me. Thank you Chris for all your help. You truly made this a "wow" experience for me. I had an absolutely amazing experience dealing with Turner VW. I would highly recommend this dealership to anyone looking for a car. 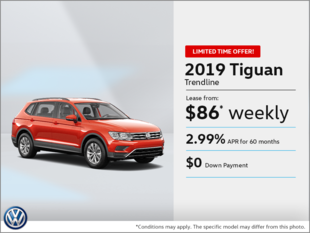 I had poor experiences at other dealerships, but the moment I stepped through the door at Turner VW I knew I would have a much better experience here. Spencer and Dave were both fantastic to deal with. Highly recommend them to anyone! The staff at Turner Volkswagen were simply amazing. Will came out within minutes of us arriving on the lot and was polite, courteous, and informative every step of the way. He got us a fantastic deal on my car and was almost as excited as I was. Turner Volkswagen is a great place to buy a car and I will definitely be purchasing my next car from there.